Super short notice from Tammy asking: Hey, are you interested in covering Bizzy Body's Ambassador Search bootcamp at Sepang Gold Coast? I was like: What? Are you kidding me!? Of course I do! 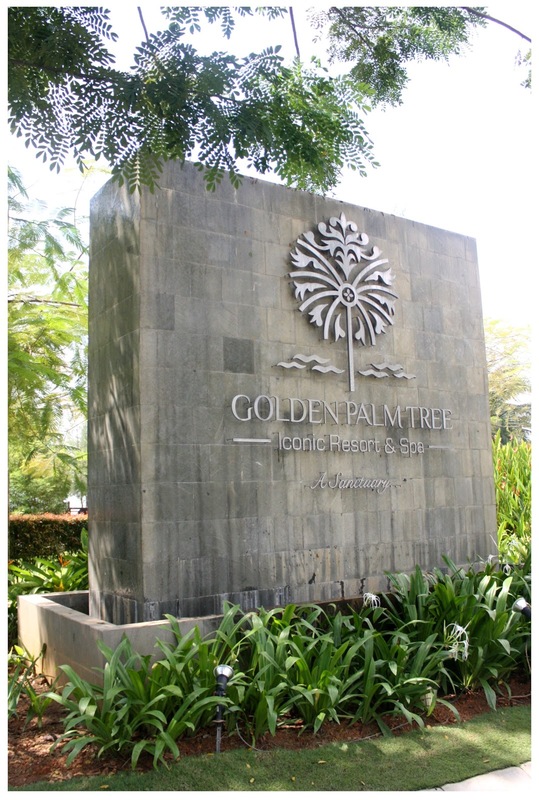 And there we go, to Sepang Gold Coast - Golden Palm Tree Iconic Resort & Spa for Bizzy Body Ambassador Search 2012/13 Bootcamp. Nothing can express how happy I am to attend this event + sponsored vacation! 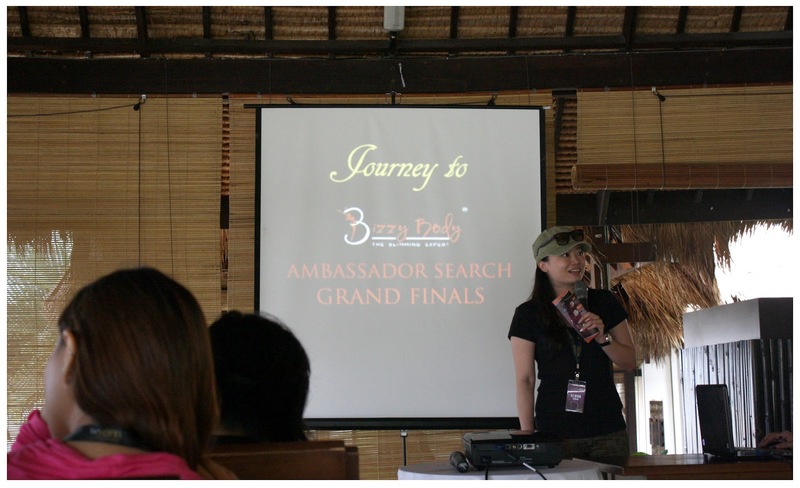 Bizzy Body, Asia's leading brand in Slimming industry is back with their Ambassador Search for year 2012/13. It is an annual event organized by Wyann International which is the holding company for Bizzy Body, Masculine, Facial First, Skin Nutrition and Enavose. 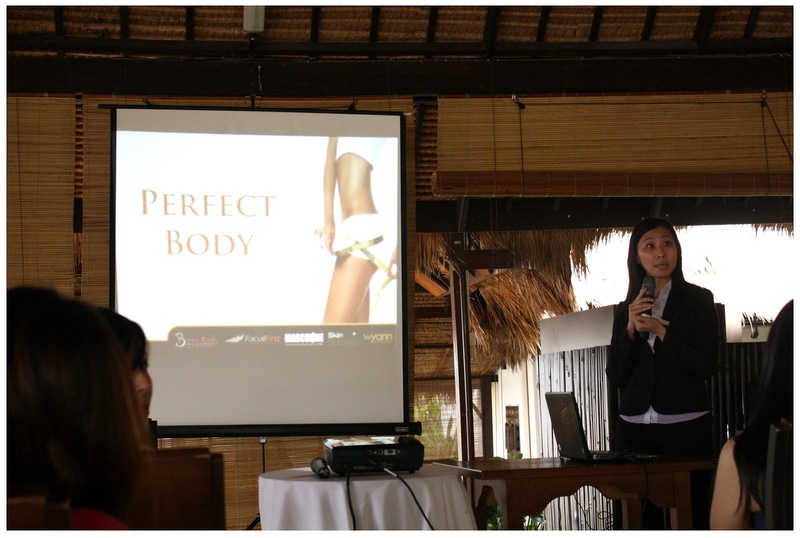 This year marks the 7th year of the event and of course, it is one of the most anticipated one for Bizzy Body's exclusive clients. It does not just encourage them to shed those extra kilos, but build up the confident in them as as well! 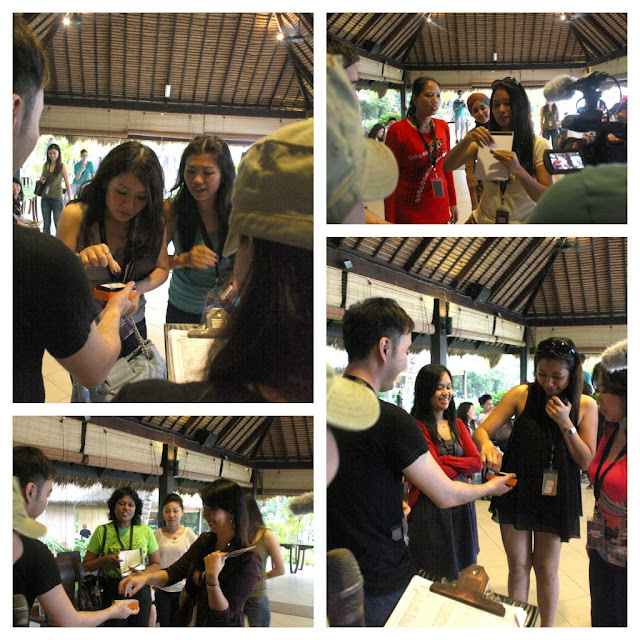 And now, the Top 24 Ambassador Finalists are gathered at Sepang Gold Coast for an exclusive Bootcamp vacation! 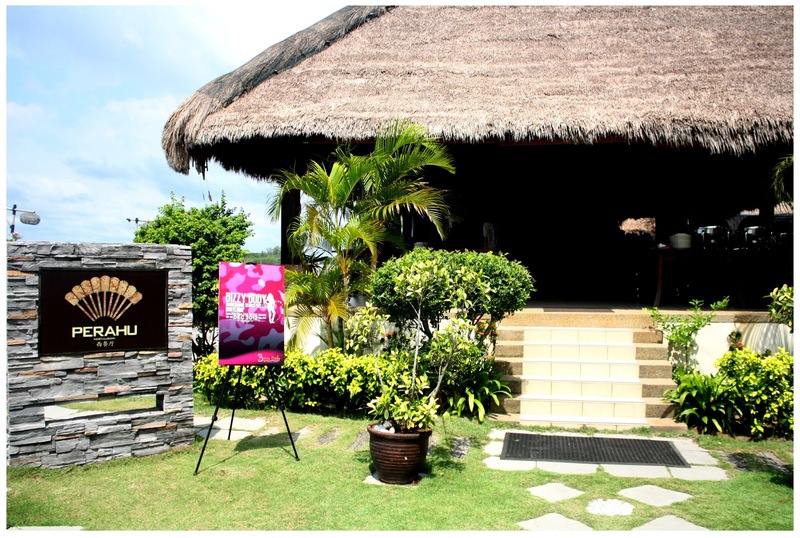 When we reach there, it's already noon time and the finalists are actually at the Perahu Restaurant, which located at Golden Palm Tree Resort's garden area, listening to what Ray Chan, the owner of Secolo Hairdressing is holding a hairdo class for all the ambassador finalists! Such a beautiful weather when we get there. Sneaked into the place without making a fuss because they already started the session. Ray gave away so many tips of haircare as well as hair-do, be it casual ones or those updos which are graceful enough to attend a night event or dinner event. Pro tip: Be sure to warm up the hair products on your palm before you use them on your hair. It actually maximise the effect of the hair products you use, such as wax or soft clay etc. Ray demonstrating hair updo how-to on one of the finalist. 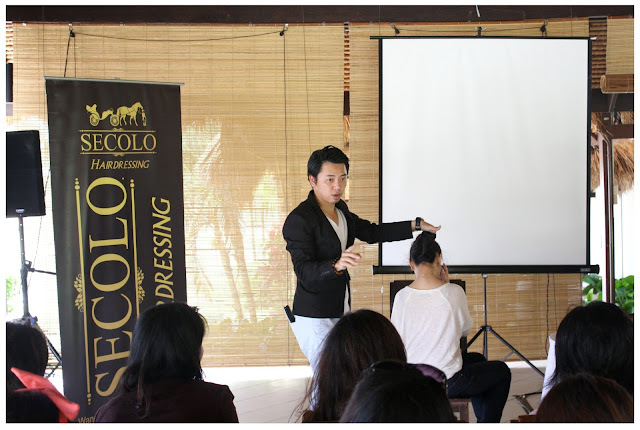 This bootcamp was filled up fun packed activities specially designed for all the gorgeous ambassador finalists such and make-up and styling class, hairdo class, body and facial tips, catwalk and posing lesson and in the end of the Bootcamp, there will be an exclusive photoshoot which all the ambassador finalists will be professionally photographed and videographed in the finest dresses which are carefully selected for them. Although both me and Jean didn't get to know much about them finalists, but I can feel their determination in losing more kilos as well as achieving in a more beautiful body and face before the Grand Final. I believed that after this Bootcamp, they'll shine bright like a well-polished diamonds. This Bootcamp is the Journey to the Grand Finals. And there's Li Hua, the host + MC for this Bootcamp. Right after Ray finishes his hairdo class, here comes the speaker from Facial First The Skin Professional to give professional tips of taking care the body and face for the next 30 days, right before the Grand Final. How to achieve the perfect body? - Of course, treatment is very important to achieve the target of kilos to be shed off when there's limited time, and Bizzy Body have just the right treatments to target any part of the body that you want the fats begone. - Eat Smart: Yes, fruits and vegetables. Eat the right fruits such as Papaya, Watermelon (after 2 hours from your meal) and Pineapple. With the right treatment, physically stay active and eat smart, slim down isn't something hard to achieve. Right after the body and face tips sharing session, most of us are already starving, especially me, who didn't had anything since the morning, only a cup of ice blended chocolate. 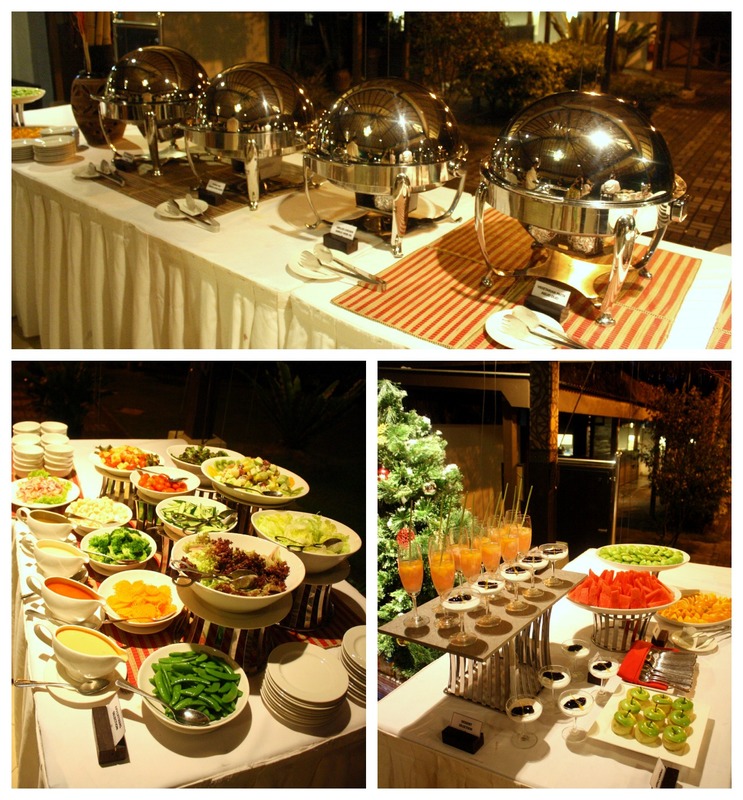 Thanks to Golden Palm Tree's Perahu Restaurant, prepared a buffet of sumptuous food for all of us. While all the ladies rush to the salad section, me and Jean were like: Stress, should we practice good diet like them as well??? In the end, I had some dumplings, veges and fruits. lol. Succumbed to peer pressure. 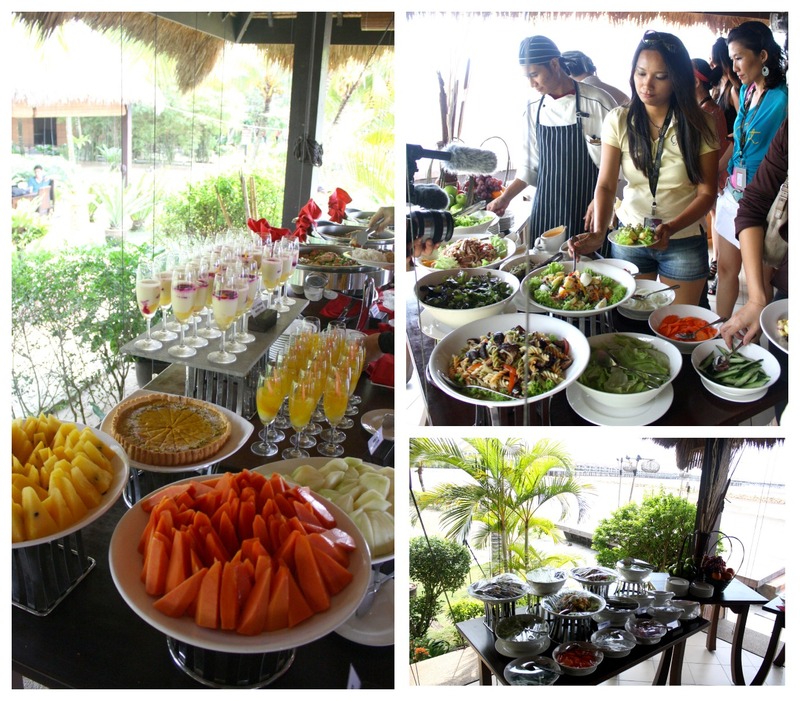 Fresh vegetables, fruits and steamed dishes. Yummy and good for health as well! 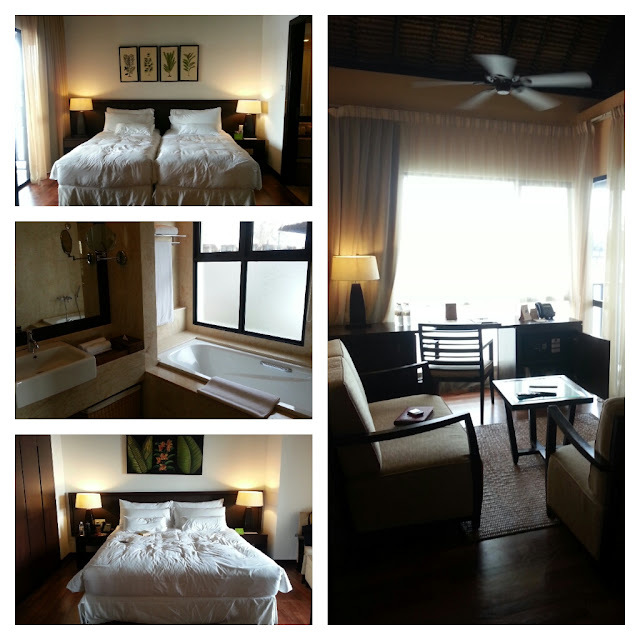 We went back to the hotel lobby to check into our resort after that, and I tell you - It was by far one of the most comfortable villa I've stayed before! 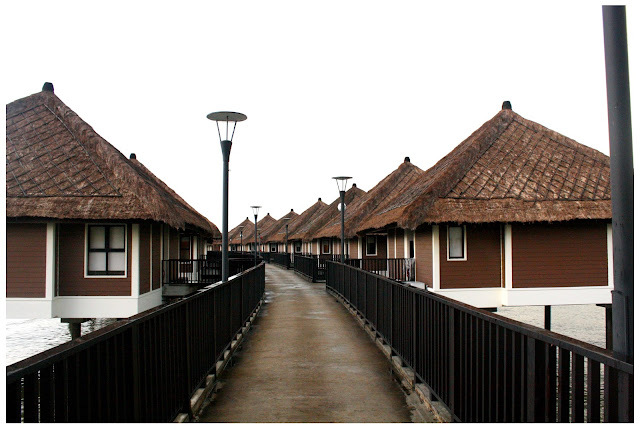 2 rooms with a living area, where it is located above the sea and everything is so quite and peaceful. 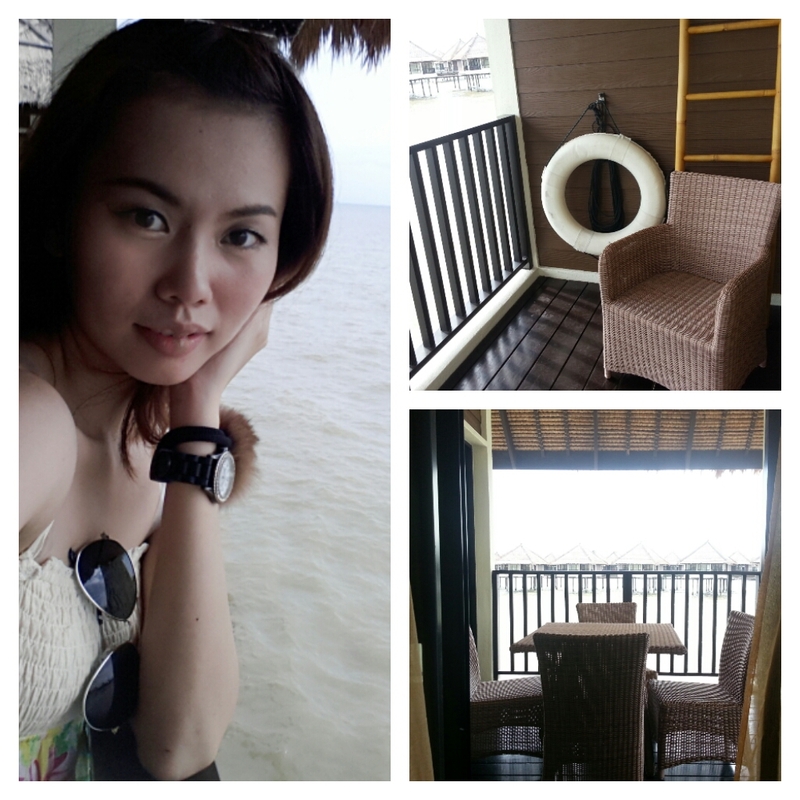 You can ever hear the soothing sound of waves when open the balcony sliding window. A perfect getaway for sea-lover like me! Fluffy bed, white bath tub and wooden material furnitures. Even thought the sea are not blue... but still the soothing sound of waves... Heaven. Me and Jean keep on snapping photos around the villa, wanting more solid memories of the comfortable and relaxing feeling to imprint in our mind. Rolled on the bed, take photos here and there and I did a lot of selca. lol. Such a good afternoon weather that I almost fell asleep on the bed before Jean say: Hey, it's about time we head to Perahu Restaurant again for the catwalk modeling and posing lesson. Catwalk and posing, my favourite. Welcoming the gorgeous and professional Simon to the venue. She will be handling the lesson by herself, teaching the finalists how to pose and catwalk. Simone Teh, from Simone Models, professional model in Malaysia. Just a posture can flaunt a lady's S Line. Simone teaching the ladies 'secrets' of looking gorgeous and curvy while posing. The right movement of body that makes you look confident even in heels. 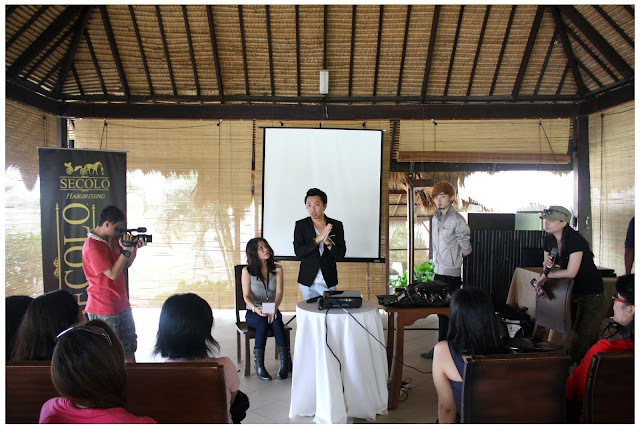 It was a 2 hours of intensive training for the catwalk and posing. The girls, of some who are not comfortable walking in heels, give in each and every single effort to learn from Simone how to look and walk like a million dollar girl with full blast of confidence. They are tired for the day's long programme lined up, but they are not giving up, not a single bit. Kudos to all the Top 24 finalists who gained their personal growth throughout this Boothcamp. To be frank, to some ladies, catwalk and posing are not their thing, they tend to forget the posture, the steps, the choreograph, but as long as they don't give up and keep on practicing, they reap what they sow. Each and every finalists get to walk on the 'runway' just outside Perahu Restaurant and Simone point out their flaws of catwalk immediately so the finalists can target what are the dos and don'ts. There's no greater feeling that the sky is the audience, watching you strut down the runway and the sea is the background music! Here are the group pics of how the girls do their thing in group posing. Which group you think has the best ending pose? That one group that stands out from the rest and gets selected by Hano as the best group in catwalk and posing, each of the members got 50 likes ahead in the Facebook voting session. Congratulations in getting a good start ahead. 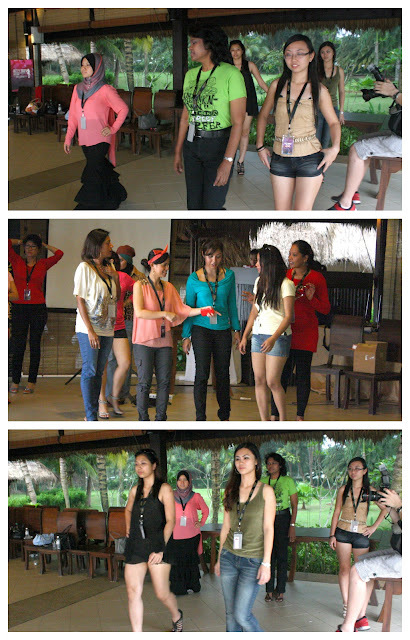 This catwalk and posing contest is actually a team building opportunity for the finalists to get to know each other more and help each other, good ice-breaking activity I would say. Right after the mini contest, the girls are separated into groups according to room they stay and also, the leader of each groups are required to draw lots to find out which batch they are in for the next day's photoshoot and videoshoot. Look at the girls expressions. Somehow I don't know whether which is better? The First batch that have to wake up at 630am to prepare but ends earlier or the last batch that can sleep all they want but ends late. lol. What's important to flaunt what you have of your body? A perfect dress! Yes. The girls are going to fitting which the dresses are provided and selected by Celeb Image for each and every one of them. I guess the finalists have pretty hard time to choose which dresses looks good on them because all the dresses are beautiful! Thanks to Celeb Image and the style tips they gave to the finalists that make their selections done easily. Nutcracker, Christmas Tree and the lights. The night is still young. 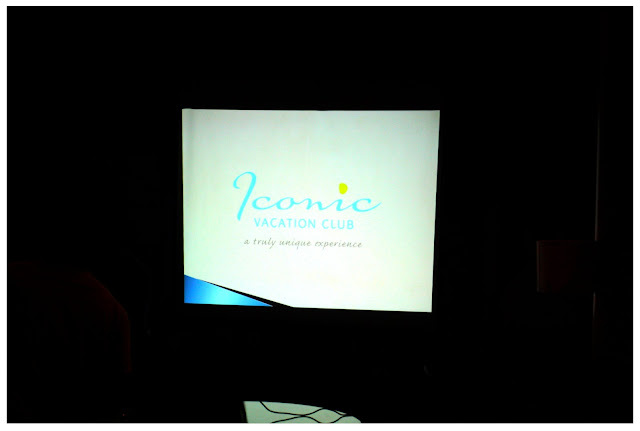 After the fitting, we head to Iconic Vacation Club to attend a small talk by the personnels there about Iconic Vacation Club and the packages they offer to vacation lovers. Golden Palm Tree Resort, is one of the resort under the Iconic Vacation Club program. 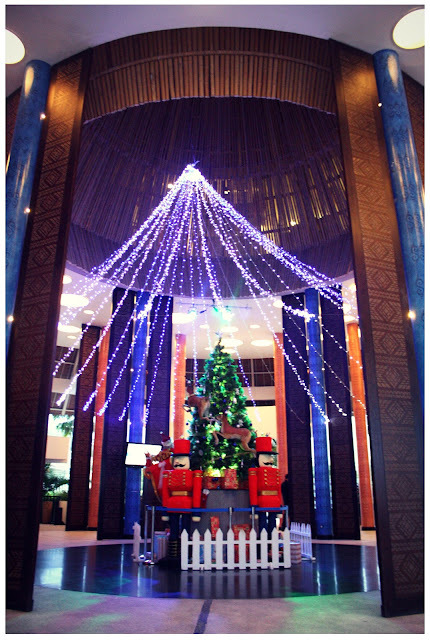 They offer packages and free nights stay at hotels and resorts worldwide. Guess you know what activity we gonna do now - EAT!!! 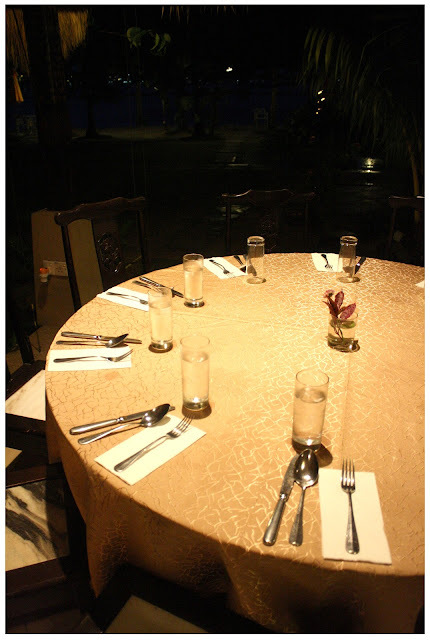 Same as our lunch, dinner buffet is served at Perahu Restaurant as well. More varieties of food to choose from, and yes, delicious! Can't stop myself eating and had 2nd serving that night, feeling pretty much guilty after I ate a whole cup of whip cream dessert. Me and Jean ended that night with a nice, hot bath, music and books. We're basically worn out by walking here and there the whole day around the resort and the garden area. I guess that day was one of the longest distance I've walked in recent weeks, but that's good since walking is some form of exercise as well. The sky were clouded that night, no stars can be sighted, it was supposed to be the peak of Geminid Meteor Shower but the only star I can spot that night is the Northern Star. (Jean said: We don't even know it's a star or a man-made satellite. Hahahaha.) The bed and comforter are super comfy and surprisingly, the temperature is quite low during night time that both me and Jean have to hide under the comforter and wrapped ourselves 100%. LOL. 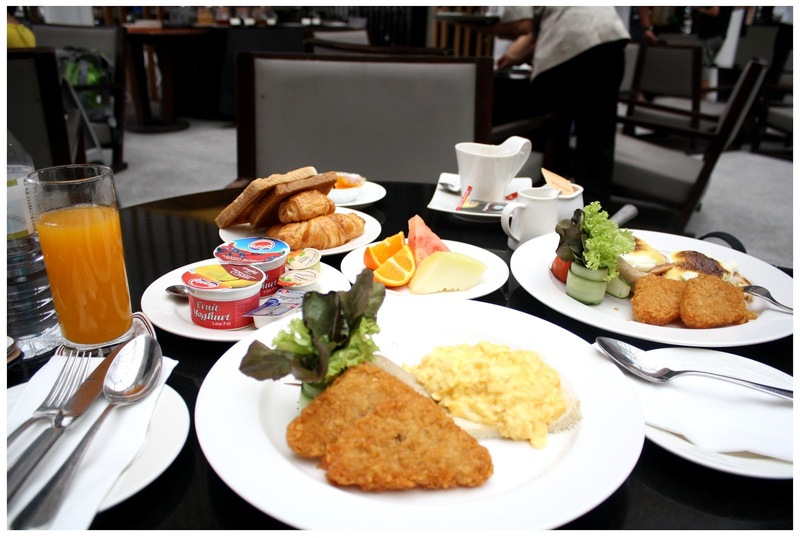 A hearty breakfast to kick start our day! Thank you Bizzy Body and Wyann International for the arrangements. Right after we finished our breakfast, we head to Perahu Restaurant to see how the photoshoot and videoshoot been going. Blue sky, breezy and not too sunny, perfect for outdoor shooting. The first batch of girls are already well-prepared in make-up and dress that they chose last night, doing their thing in front of the camera. The amount of time spent by the crew to get every shot and video perfect is crazy. 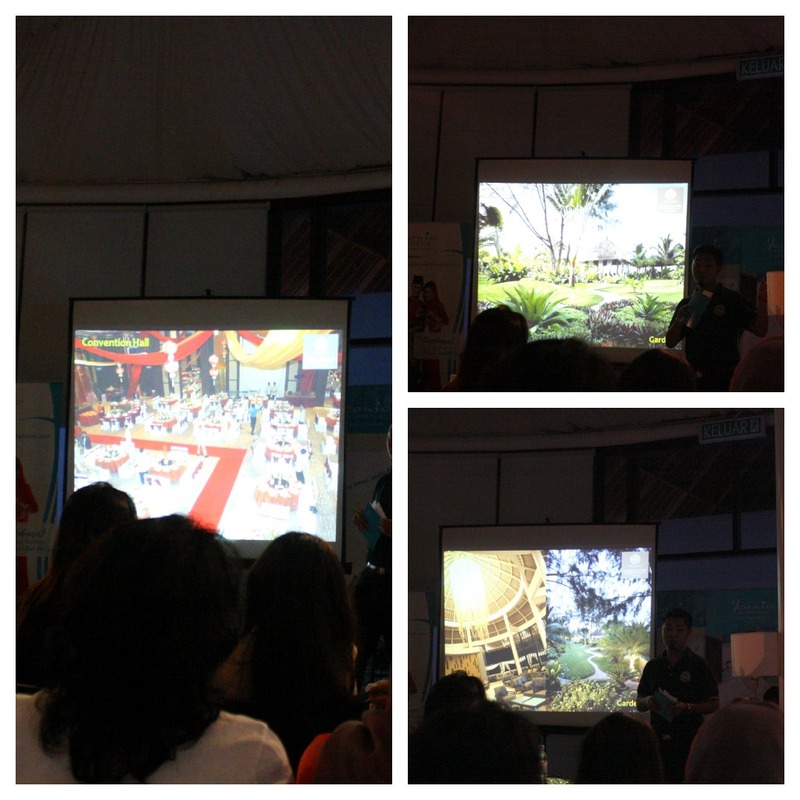 This is what they want for the finalists - To make their dreams a reality! To look beautiful and confidence in front of the camera after the weight loss as well as the transformation that can be seen in each and every finalist, healthier and beautiful on the inside out, is what the organizers want them to be. The shoot will last for the whole day, gambatte everyone! Bizzy Body 2012/13 Ambassador Search campaign will be held at Orang Concourse, Sunway Pyramid from 16th to 20th January 2013. There will be a lot of fun and exciting activities going on throughout the 5 days of event such as 'Guess Your BMI Contest', Subsidiary Titles Nights according to various of themes, Calories Challengde, Ambassadors Gallery which audience stand chances to win exciting prizes by vote for their favourite finalists, free make-over and photoshoot and many more. 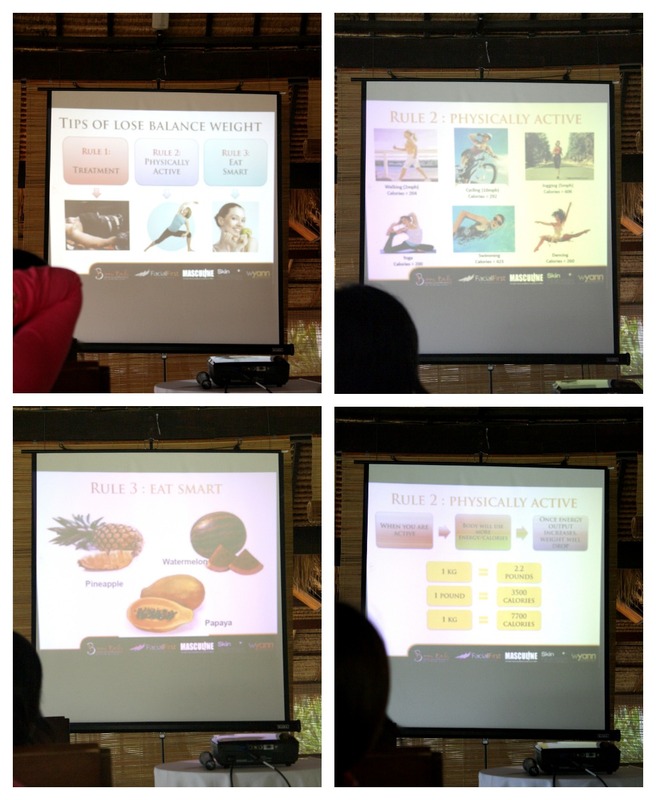 Thank you Bizzy Body and Wyann International for having me and Jean at the sanctuary - Golden Palm Tree resort and to cover the Bootcamp as online media. 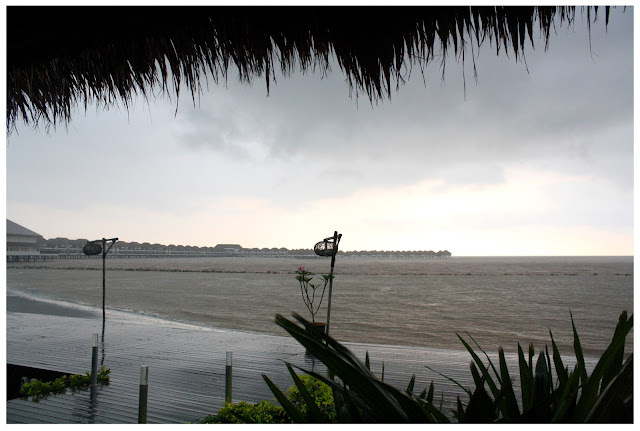 It was such a pleasant short getaway 'vacation' for us that we both love to bits. Blue sky, sounds of waves, good food and good companions, I can ask for nothing more. So don't forget to head to Sunway Pyramid, Orange Concourse during 16th - 20th January 2013 to witness who will be crown as the 2012/13 Ambassador of Bizzy Body, one of the slimming centre in Malaysia ya! wow..didn't know so many things happened in a model bootcamp! and it looks fun from the pictures u show. The model finalists so pretty!!! !